Jennifer L. Westrick, a former officer in the Army National Guard, joined the law firm of Holsinger, Clark & Armstrong, P.C., in August 2005. Jennifer focuses the majority of her practice on criminal defense litigation, family law and guardianships for incapacitated persons. Jennifer spent over five years serving as an assistant public defender, defending thousands of clients. 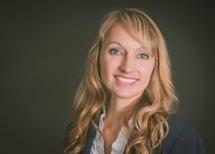 She gained valuable experience in criminal defense cases, which she carries over into her private practice. In addition to her criminal law practice, Jennifer concentrates on providing legal representation for clients involved in divorce and child custody actions, as well as adoptions and guardianship proceedings. Jennifer served as the solicitor for Indiana County Children & Youth Services for over four years and currently serves as the solicitor for the Indiana County Tourist Bureau. Jennifer believes it is important to have a lawyer who understands your specific needs, as each client and case is unique to that individual.